Seeing the nigh on ageless Sonic Youth on Jools Holland this week – great new song “Antenna” and the classic “Teenage Riot” (with Steve Shelley excelling on drums) – it takes me back to a couple of encounters with them in the mid to late 80's. I was good friends with Epic Soundtracks who was in turn pretty close to the band – viz their 1988 John Peel session of Fall songs which Epic guided them through, being the only one who properly knew all the songs through – going as far as to sing (mixed very low) vocals on one track – (This session was released as the 4Tunna Brix bootleg EP) and Lee Ranaldo, Kim Gordon and Thurston Moore all played on Epic's 1992 Rough Trade album “Rise Above” (...as did Dinosaur Jr's J Mascis....). And so it was that Epic acted as conduit for my “adventures” with the influential New York Alt-Art-Rockers. were supporting Sonic Youth at the Hummingbird in Birmingham and with a guest list invite coming my way, I hung around backstage. Although I'd met SY before, I was hardly inner circle material, so chose largely to keep out of the way – though I did boldly venture in to the crappy graffitti ridden dressing room to partake of a paltry rider – and eventually enjoyed Sonic Youth's performance from behind the stage. Once again, it was Steve Shelley on drums who stood out – Epic, himself an exceptional drummer (check out his performance on the Jacobites “Shame For The Angels” as an example) rated Steve very highly and it was he that Epic was closest to in the band, as members of the drummers union I guess. I've always liked the rocky Sonic Youth rather more so than the experimental side and it was a rare privilege to witness close up as Steve knocked out a pulsating rhythm on the likes of Silver Rocket, Kool Thing and Teenage Riot. It had been 1986, 13th May to be precise (confess I had to look up the date), a Tuesday night, when things had got a little weird. 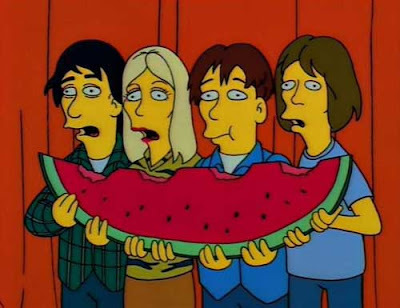 I wasn't feeling at my best as I had the most excruciating toothache and but for having promised a lift to Epic, would probably have ducked out of traipsing east to check out Sonic Youth. 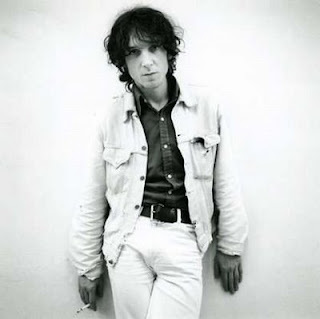 But, a promise is a promise, and so it was that, dosed up on paracetamol (me, that is) we took the short drive from Coventry to Leicester to check out the Youth at a place called The Fan Club. This would be the first time I actually met the band, and, a creature of habit where such meetings were concerned, was a little anxious at the prospect of talking to the four hip New Yorkers. Inevitably of course all of them turned out to be perfectly charming. You've only got to look at Kim now, some 23 years later and still the archetypal rock chick, to imagine how cool she was back then. Lee was pretty quiet, Thurston charismatic and Steve, the new boy to the band, extremely approachable. Although I've a vague recollection but cannot be sure, that the support was Pavement, eventually it came round to Sonic Youth taking the stage. Unfortunately, painkillers have a tendency to wear off and so it was that I proceeded to endure the extremely loud and shrill intensity of the likes of Expressway To Yr Skull (how apt......) through a fog of sheer pain –eventually a second dose of tablets kicked in, senses numbed a little, and I was ready to wander the streets of Leicester with a hyped up post show band reluctant just yet to return to their digs. With a vague knowledge of the centre of Leicester (from day release studying at the Polytechnic), I acted as some kind of tour guide. Now the East Midlands is not the Lower East Side of New York, and this dissimilarity became clear as the band tells us how in New York you could go into an all night pet shop to buy a snake in the early hours of the morning, and, not that a serpent was on their shopping list, but did they not have such facilities in England? Needless to say, bar a late night off licence or two, everything was closed and our search would be in vain. The band masked their disappointment well. There's no doubt that wandering the streets of Leicester with (probably) the coolest alternative rock band in the world put all thoughts of toothache to the back of my mind, and having walked them back to their hotel, I drove Epic back to Coventry on a mixture of natural and painkiller induced high.